PHOENIX — The former Director of the Arizona Department of Economic Security is weighing in on the investigation surrounding Hacienda Healthcare after a woman in a vegetative state gave birth to a child. "Hacienda shouldn't be a vendor right now," said Tim Jeffries. 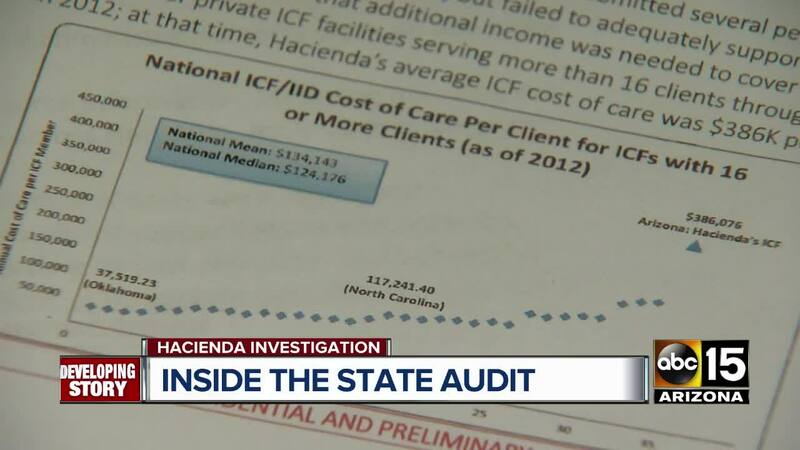 Jeffries said his office was deeply troubled with Hacienda Healthcare after an audit was conducted on the care facility. 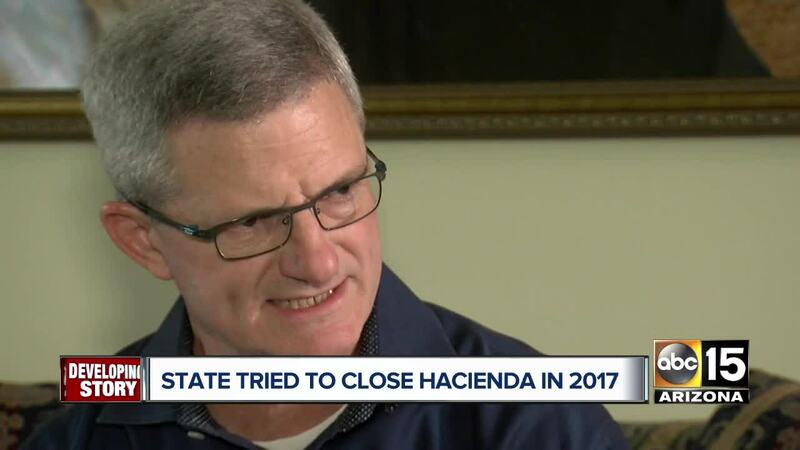 He said he had a plan to close Hacienda in 2017. 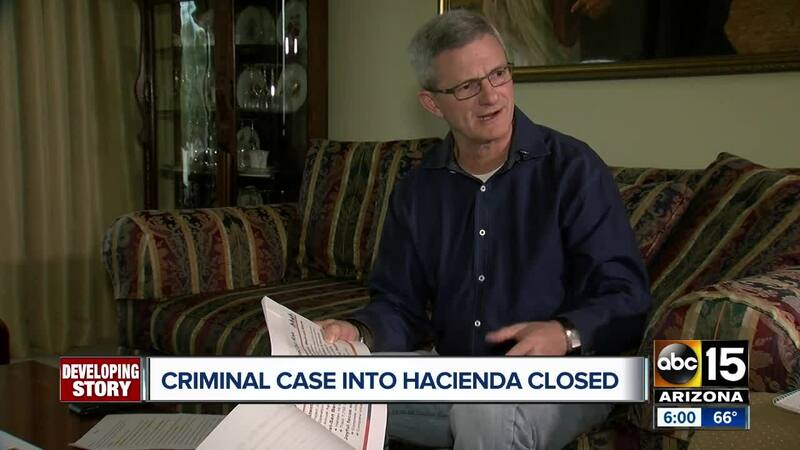 "We had enough and so we commenced the careful work of accessing quietly, privately each client that Hacienda had and determining how could we prudently move them once a termination notice was given," Jeffries said. According to Jeffries, the audit showed concerns of misuse of funds and fraud. Citing that it was a pattern coming from the top of the organization, former Hacienda Healthcare CEO, Bill Timmons. Timmons resigned on Monday January 7 , just days after news broke of the sexual assault. "Timmons was intemperate, he was belligerent, he was abusive, he was a terror to our staff and God only knows how to his staff," Jeffries said. Jeffries concerned that if their audit had found issues in just one year, who knows what else was going on and what else Hacienda could be trying to hide. Jeffries said he brought his concerns to the governor's office. "Both AHCCCS and DES raised concerns about potential financial fraud by Hacienda. Both agencies and the governor's office acted on those concerns." However, Jeffries says when he was forced to resign by Governor Ducey, all the work his office had conducted in reference to Hacienda Healthcare came to a halt. "I was ousted as a result of a manufactured crisis, to shut me up and make me go away. Well, I'm not gonna shut up and I'm not gonna go away," Jeffries said. "The Board, leadership and employees of Hacienda HealthCare remain fully committed to determining exactly what happened to a patient entrusted to our care. To ensure a comprehensive, objective and transparent review of the facts of this deeply disturbing matter, the Board has hired respected former Maricopa County Attorney Rick Romley to lead an exhaustive internal review. Mr. Romley will have unfettered access to every facet of Hacienda's business - including all the records related to this matter and all the operational procedures related to the ICF-ID unit. We will do everything we can to aid this review and, once it is complete, to make sure this unprecedented situation never, ever happens again. Additionally, we will continue to cooperate fully with the Phoenix Police and the agencies investigating this matter. As an organization, our top priority is to quickly identify the perpetrator and to make sure that person is brought to justice."